Apple has refreshed its smartphone line-up with three new iPhones. The iPhone 8 and 8 Plus run on the new A11 processor but have the same design language as the iPhone 7 and 7 Plus. It is the iPhone X which is going to get most of the attention with its cutting-edge looks and compact form factor. It will be available in India from 3 November at a price tag of Rs89,000 (64GB). The 256GB variant will cost Rs1,02,000. Like every year, the new iPhones are going up against some very formidable rivals in the Android ecosystem. 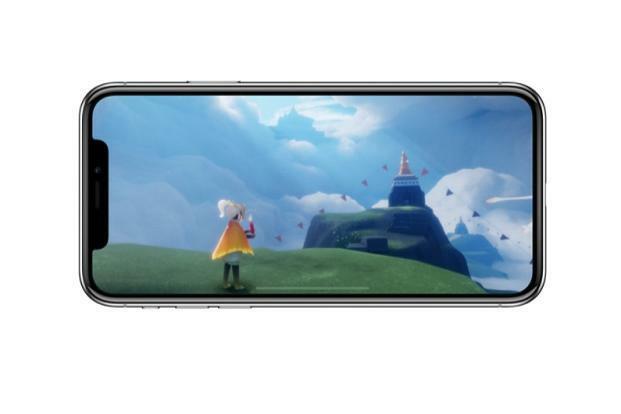 Here is how the iPhone X stands in comparison to Samsung Galaxy Note 8, which costs Rs67,900. The standout element in the iPhone X is the bezel-less screen. The standout element in the iPhone X is the bezel-less screen. There are practically no bezels on the front panel, except for a tiny strip for the front camera and the new Face ID sensor. It is this breakthrough design which has allowed Apple to incorporate a 5.8-inch screen in a form factor of a 5-inch screen phone. It is just 143.6mm long, 70.9mm wide and weighs 174g. The Galaxy Note 8 has got no vertical bezels either and the horizontal bezels have been reduced to a small strip. It offers a slightly bigger 6.3-inch screen and looks a lot taller (162.5mm), wider (74.8mm) and weighs (195g) more than the Apple iPhone X. The new iPhones are protected against dust and water splashes and come with IP67 certification. This means it can tolerate rain but not a dip in swimming pool. The Galaxy Note 8 comes with one level higher IP68 rating and can survive water up to a depth of 1.5 metres. Clearly, Apple scores in terms of ergonomics, but the Note 8 is more durable. The iPhone X comes with a 5.8-inch OLED display which supports 4K HDR, has a resolution of 2,436×1,125p and pixel density of 458 ppi. It’s the biggest screen ever seen in an iPhone but still smaller than the Android rivals. The 6.3-inch display on the Note 8 uses a slightly advanced AMOLED panel and offers a slightly better resolution of 2,960×1,440p and pixel density of 521ppi. The Note is clearly a better bet for users looking for a big-screen experience. The iPhone X is powered by the new A11 Bionic processor, which Apple claims is 75% faster than the A10 Fusion processor used in last year’s iPhones. The Galaxy Note 8 is driven by Samsung’s proprietary but powerful Exynos 8895 octa-core processor, which is at par with the likes of Qualcomm Snapdragon 835 processor. There is no 32GB or 128GB storage option in the iPhones this year. The lower variant of iPhone X has 64 GB storage and the higher variant offers 256GB storage. The Galaxy Note 8 has a single 64GB storage version and it accepts microSD cards of up to 256GB. Apple has given the fingerprint scanner a miss in the iPhone X and has used a face recognition-based tool called Face ID. It uses AI (artificial intelligence) and static facial recognition technique to map 30,000 data points on a person’s face and build a unique 3D model. The Galaxy Note 8 is better endowed when it comes to security. It has a fingerprint sensor on the back, an Iris scanner and a face recognition scanner on the front. 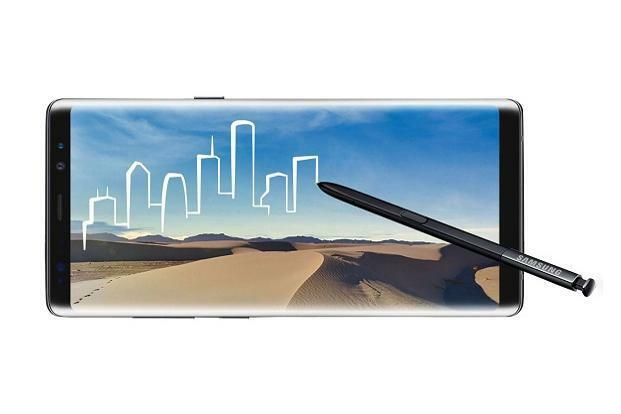 The Galaxy Note 8 has also got a stylus called S-Pen which can be used for work, drawing and writing on the phone’s screen. For photo enthusiasts, the iPhone X packs in dual 12-megapixel cameras with OIS in both. The wide-angle lens has an aperture of f/1.8 for better low-light results and the telephoto lens which offers 2x optical zoom has an aperture of f/2.4. Samsung rarely misses out on the camera front. It has got two 12-megapixel cameras with OIS on both of them. It has an aperture of f/1.7 and 2x optical zoom. On paper, they look at par with each other. Real-life results can still vary. The iPhone X and Galaxy Note 8 are in a neck-to-neck battle. Galaxy Note 8’s strength lies in its bigger screen which means more legroom for watching movies and playing games. It has also got a stylus called S-Pen which can be used for work, drawing and writing on the phone’s screen. The iPhone X is a huge upgrade in the iPhone family. It brings refreshing design, new chipset and bigger screen, but comes at a very hefty price tag. Even the Galaxy Note 8 looks like a bargain next to it.